Free Electricity and Robotics Workshop! Join us for a free science workshop designed to get your kids wildly excited about science! Spark together electric motors, wire up circuits and build a robot from junk! Kids create their own whizzing, screeching, wiggling robot by the end of this one hour workshop taught by a real scientist and teacher. 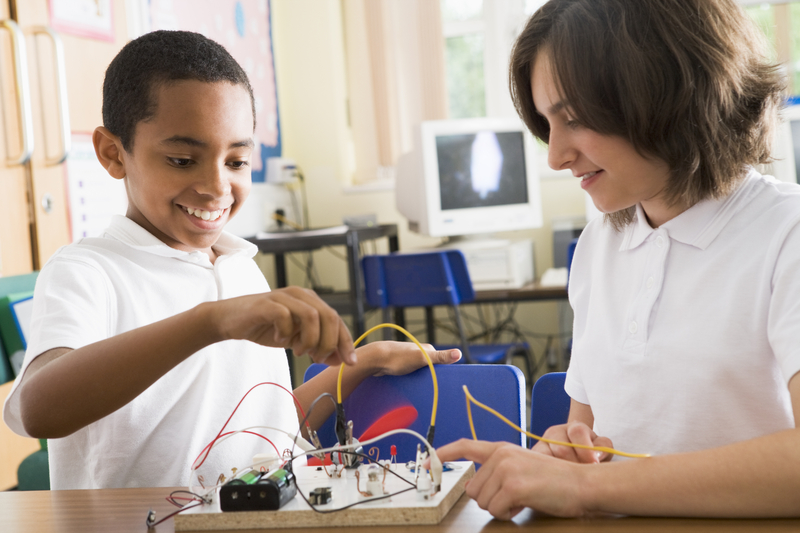 Your kids will learn how to wire up motors, lights, switches, and much more as they build homemade robots from that really work by using principles in electricity, magnetism, static charges, and more. is for kids ages 6-12 years. You bring the kids, and we’ll take care of the rest. Each kid gets to keep the robot that they build, courtesy of Supercharged Science. This free workshop is presented by Supercharged Science.